The life that I have built has allowed me the gift of travel on a regular basis. <-- That sentence right there gives me goosebumps because this is something I have wanted for as long as I can remember. I took the plunge and went full-time with my photography career in December 2016, and man, was that a scary decision. But I decided that taking the risk was a far more appealing thought than wondering "what if" for the rest of my life, working jobs that I knew wouldn't make me as happy as pursuing my photography passions. When Andy and I reconnected in March (and started dating soon after), we quickly realized that exploring was in both of our natures, but Andy hadn't gotten the opportunity to travel as extensively as I had been privileged to do. We planned a road trip for July 2017, and what an amazing decision that was (more about our trip details in another blog post!). Within the past year, I had an idea that whenever I travel, I want to set up a portrait or wedding photo shoot. This idea has led me to photograph small business owners in Utah, an engagement couple playing in the Colorado Flatirons covered in snow at sunrise, and most recently, newlyweds in Pittsburgh. I connected with Kim and Darren through the Rising Tide Society's HoneyBook Community. I absolutely love being a part of the Rising Tide Society because of the honest, dependable, educational community it provides. It's even more rewarding when two total strangers can come together and create some serious magic in a short amount of time. Kim is a fellow photographer (check out her work at www.kimhaddenphoto.com! ), and jumped at the chance to get some portraits taken with her husband, Darren. She even graciously offered to take some portraits of Andy and I while we were there. From the little time we spent together, I could tell that Kim and Darren have a sort of old-fashioned, idyllic romance. Kim had recently been receiving work training in Colorado. When Darren welcomed her home, he made a number of romantic gestures ("Welcome home" written in M&Ms, for instance! #swoon) and even took time off of work so they could catch up and have quality time together. I believe a faith and devotion like theirs is something to be admired and to strive for. 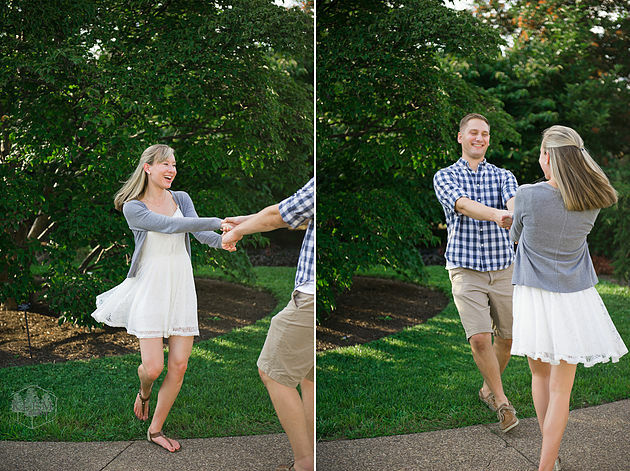 This sweet, sweet couple was a dream to work with at the beautiful Phipps Conservatory in Pittsburgh. More importantly, I'm so thrilled Andy and I were able to walk away with full hearts and two new friends in tow. A huge thank you to Kim and Darren for working with me and being adventuresome. You guys are just the best.